The Soul Purpose Band is steeped in a true Soul/R&B tradition and captivates their audience with classic dance hits and soulful sounds, from the 60’s, 70s and 80’s. This 11-piece band features both male and female lead vocalists. Formed more than 20 years ago the group has performed all around Atlanta, throughout Georgia, and across the southeast. 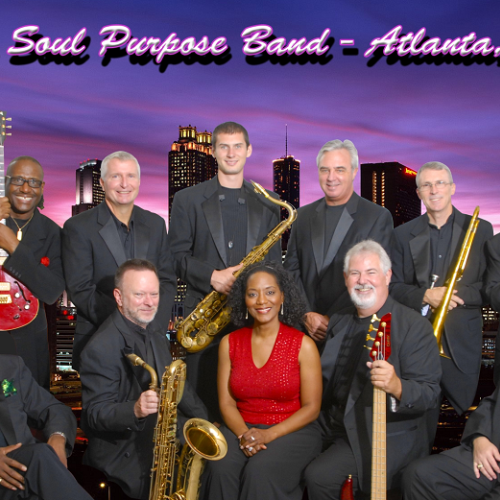 As an award-winning band, Soul Purpose has become widely recognized as one of the most authentic, Classic Soul, Beach and Motown bands in the Southeast.